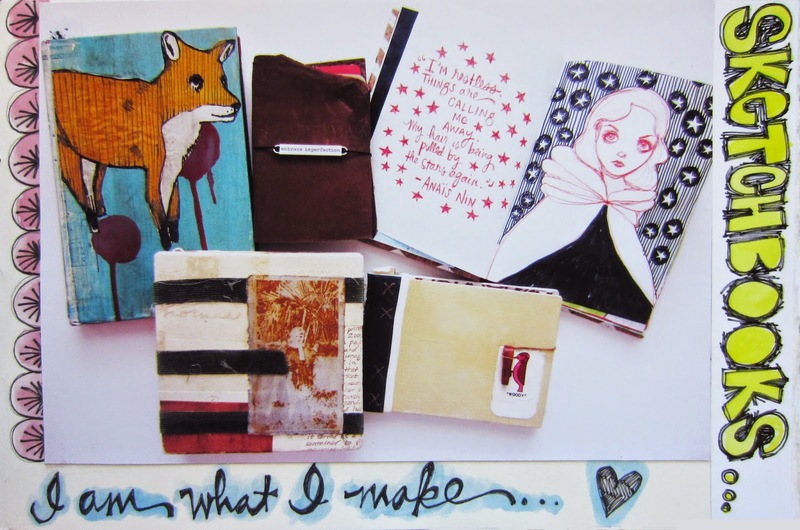 I'm so thrilled to announce that I am now a part of the Get Messy Art Journal Challenge! This means that I have joined a group of talented art journaling ladies who plan to create two art journal pages to share with you every Thursday. At the end of each month, we are going to make pages in response to a prompt given to us by one of the group's hosts. I am so excited to get started! Journal challenge: Who are you? If you had one page to show the world who you are what would you put on it? Art challenge: Use anything except an actual photo of yourself to make a self portrait. For my first page, I decided to take a picture of the things that I always keep close by: my planner, my phone, my sketch kit, and a cup of coffee. (Can you tell I am a fan of Orla Kiely's patterns?) These are the things that travel around with me during my day... I printed my little "still life" out onto matte photo paper, glued it in, then embellished the page with pens and watercolors. For my second page, I thought about how much my sketchbooks mean to me and how much they say about me. I always have a sketchbook/art journal on hand wherever I go, and drawing and writing in my little books is SO important to me and a big part of who I am. For this page, I took a photo of some of my favorite books (most are handmade), glued it in, then embellished everything with pens and watercolors. I hope you enjoyed seeing the first pages in my Get Messy Art Journal. They were really fun to make, and I'm so excited to be joining a group that has been inspiring me a lot lately! I am currently using a book I made years ago filled with watercolor paper as my Get Messy Art Journal. I won't show you the cover of the book yet, because I really don't like it, ha ha. I made it when I made the book, and my style has definitely changed over time. I hope to paint over the old cover and give it a makeover soon! "I am what I make"
SO FREAKING AMAZING. I'm going to write that out and hang it up on my wall. That's exactly how I feel. That's what I was thinking with this prompt. That it doesn't actually matter what we put up, because it's ALL a self portrait! You've just put it into words. Chuck Palahniuk said something similar. 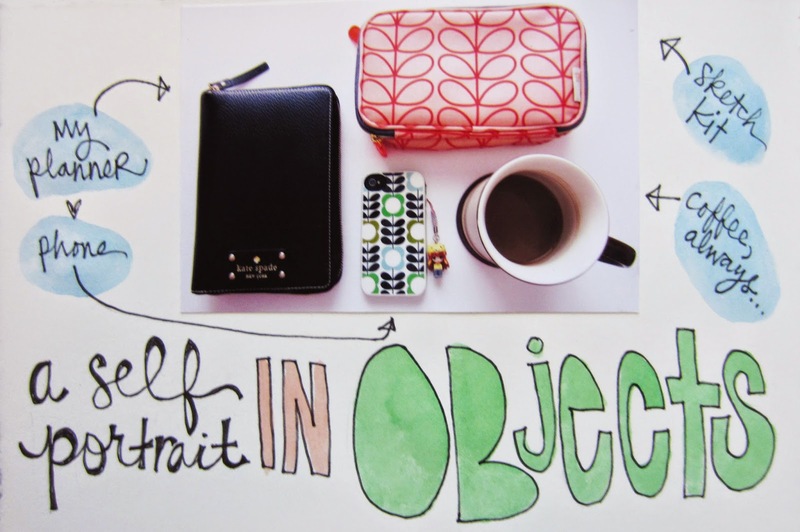 I also really love what you did with the objects page. That was what I was wanting to do and then I just simply didn't have the time to take the photos and get them printed. I still want to do it one day. Yes for sure! :) I'm glad you like it! This is fantastic! I'm totally gonna join along - thanks for the inspiration! Simple, clear, just perfect to get the message across.